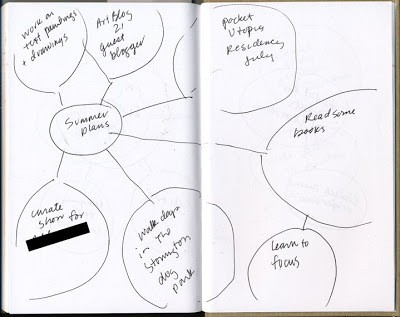 Image: Sharon Butler, “Sketchbook Scan, Summer Plans,” 2009. I’ll be posting less frequently during the summer in order to concentrate on other projects. I can really dig some of those plans you have! (I could do: learning to focus, reading some books) — this summer seems to have a great start so far!